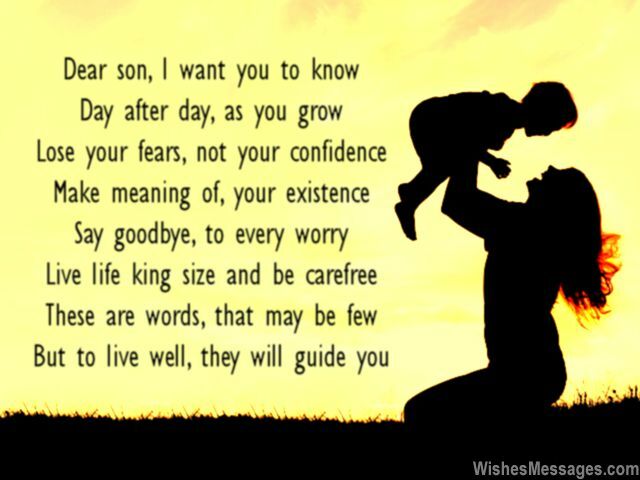 I Love You Poems for Son: The depth of the bond between a son and his mom or dad is something that can only be understood by parents. Children realize the priceless value of this relationship only in hindsight. Young teenagers see parent-children bonding as lame, boring and sometimes even embarrassing. Don’t let this stop you from saying I Love You to your son and giving him a warm hug. Express your feelings in words by scribbling a short rhyme or a touching quote on a note. 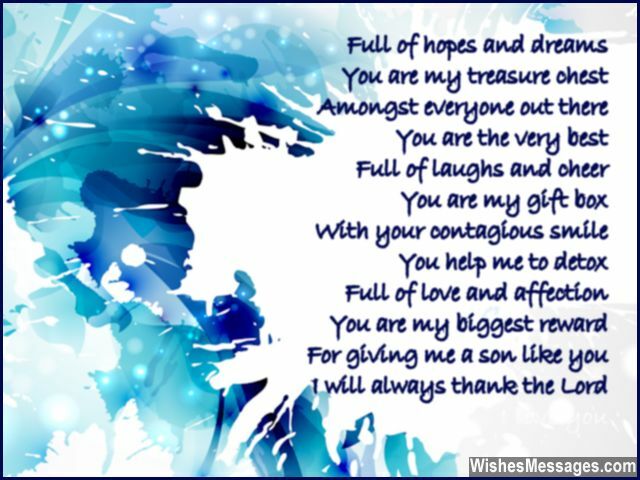 Slip it in your son’s bag, send it to him as a text message or write it on a greeting card. 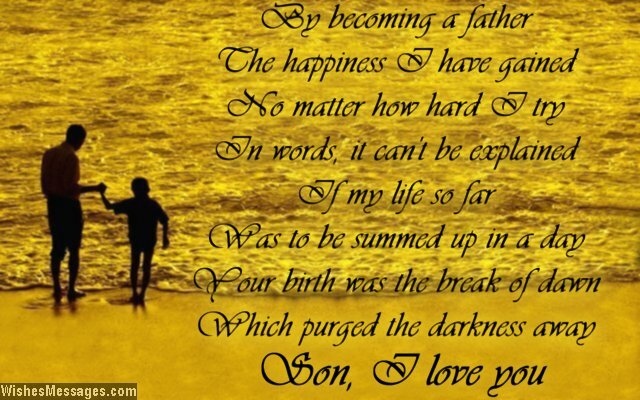 A touching poem sent straight from your heart will resonate in your son’s heart decades later, when he grows older and becomes a father himself.